Agriculture must produce more while protecting limited natural resources. Strengthening capacities for agricultural innovation is key to meet these challenges. To be relevant, Capacity Development (CD) interventions need to be based on participatory assessments of existing capacities and gaps. 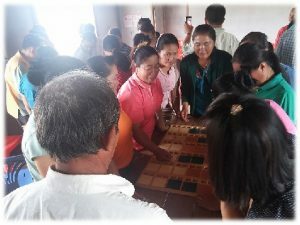 In the Agricultural Innovation Systems (AIS) perspective, assessments must focus on the functional capacities required for an AIS to perform effectively, namely the capacities to navigate complexity, to collaborate, to reflect and learn, and to engage in strategic and political processes; and consider the three dimensions of CD: individuals, organizations and the enabling environment. This factsheet is part of a series outlining tools and approaches to promote more effective capacity development for Agricultural Innovation Systems (AIS). 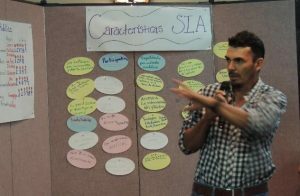 These tools and approaches put to use the principles of the Common Framework of the Tropical Agriculture Platform (TAP), a G20 initiative. They are applied through the Capacity Development for Agricultural Innovation Systems (CDAIS) project, funded by the EU and jointly implemented by Agrinatura and FAO in collaboration with national partners in Angola, Bangladesh, Burkina Faso, Ethiopia, Guatemala, Honduras, Laos and Rwanda. build a baseline for assessing the performance of CD interventions. seek opportunities to influence decision-makers. 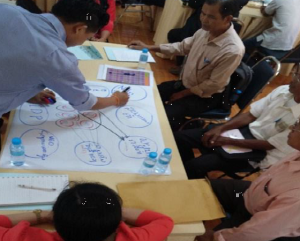 The capacity needs assessment builds on the identification of key representative bodies: farmers, farmer organizations and cooperatives, research, extension, private sector and public sector representatives, within the boundaries set during the visioning exercise. Ideally the capacity needs assessments starts with those organizations directly expressing an interest in strengthening capacities. The later stages (validation and planning of capacity development interventions) might include a broader range of interested actors. How is the assessment performed? 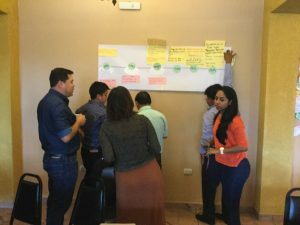 Capacity needs assessments usually take place as semi-structured discussions and workshops with representatives of an innovation partnership, namely organizations and networks linked to a specific innovation process. The process should be country and stakeholder driven. An assessment is best designed with the actors that express a keen interest in strengthening their capacity to innovate. It should involve the institutions responsible for creating the enabling environment and providing the incentives to advance an innovation agenda. Innovation facilitators play a crucial role in the assessment. They allow diverse actors to connect and communicate effectively. And this is key to make innovation happen. This toolkit proposes a practical approach to self-assess capacity needs for agricultural innovation. It consists of five steps and a number of tools. The approach does not represent a one-size-fits-all solution and needs to be tailored to specific contexts. The duration of the assessment ranges from two-three months – the ideal case – to one week, if time and resources are limited. The assessment looks at functional as well as technical capacities. 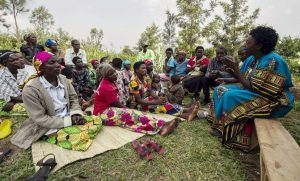 The latter focus on technical knowledge in areas such as food security, nutrition post-harvest management and farming; while the former are “softer” capacities needed to collaborate, reflect, learn, adapt, and ultimately, achieve change. To plan the assessment in detail and prepare innovation facilitators effectively, it is suggested to reach a sufficient understanding of the innovation partnership. This can be done before the start of the assessment by reviewing studies, reports and official documents, by consulting key stakeholders, and by completing innovation partnership profiles. Project managers and/or innovation facilitators invite stakeholders to participate in an inception workshop. Stakeholders can be selected based on consultations and/or the scoping study. During the workshop, the project and its objectives are presented. Concepts such as innovation partnership and AIS are introduced and discussed. elicit commitment of the stakeholders. Key stakeholders participate in group work and plenary feedback sessions. These are organized and facilitated by project managers and innovation facilitators. The sessions can be part of the inception workshop or a separate event. raise awareness about structure, governance and boundaries of the innovation partnership. net-map tool (making reference to the findings of the problem/solution tree). Key stakeholders participate in an assessment workshop organized and facilitated by project managers and innovation facilitators. Stakeholders are engaged individually or in groups. identify existing capacities and capacity gaps. spreadsheet to create a capacity profile. Stakeholders and other interested parties participate in work groups and plenary feedback and proposals. Building on previous workshops, stakeholders refine the plan for CD intervention. develop a concrete plan for CD interventions with a clear timeframe, cost projection and stakeholders to be involved. ‘menu’ of possible CD interventions. The needs assessment gives a comprehensive baseline at a certain point in time. It provides a reflection on the needed capacities, strengths and weaknesses of the stakeholders and an understanding of the interlinkages in the system (it helps to reflect how the strengthening of any actor in the system gives rise to changes to the other actors in the system). Capacity needs assessment and validation workshops will set priorities for further CD interventions. A document/ action plan outlining the main CD priorities for each innovation partnership should be compiled by the needs assessment team with the help of the facilitators. Meetings should follow to review the action plan. In the next stage (CD Strategy Development and Action Plan) the priorities and actions will be further elaborated and defined.